You are here: Home / Mold Removal / Mold And Mildew: What’s The Difference? Dark, dank conditions are the perfect breeding ground for both mold and mildew. Most people know that mold is not only hazardous to your health and personal belongings, but it can also cause serious damage to the structural integrity of your house. Mold is a fungi, and mildew is a type of mold. A person who is trained to deal with mold should have no problem telling the difference between the two. Mildew can cause health issues, but it won’t cause as many as proper mold. Living near mildew can cause difficulty breathing, headaches, sore throats, and other cold like symptoms. On the other hand, living near mold can cause sinus infections, severe allergic reactions, joint pain and inflammation, and in some extreme cases, mold can bring upon changes in a person’s mental well being, resulting in bouts of depression and periods of feeling absent minded. Do It Yourself mold removal is not recommended by any means, or in any situation, but if you insist on handling it yourself, you should be able to tell the difference between mold and mildew. The Litmus Test is fairly simple, and the results take only minutes to be visible. To know if that sketchy looking patch is mold or mildew, all you have to do is put a few drops of household bleach on the patch, and then wait. If the patch’s color becomes lighter, then it’s mildew. But, if the patch remains dark, then you’re most likely dealing with mold. In most cases, mold looks fuzzy and may feel like felt when you touch it. It can come in multiple colors, most often in shades of blue, green, yellow, black, white, brown, or grey. Alternaria most often appears in homes on walls, particularly around the window sill. It can also pop up in other damp places, like underneath the sink, in the shower, or any other place that may be damp. Buildings that have undergone water damage are prime candidates for the growth of Alternaria. Alternaria is identified by it’s wool like feeling, and gray, black, or dark brown color. Aspergillus can be found anywhere indoors. It’s appearance is gray, brown, yellow, green, white, or black in color. 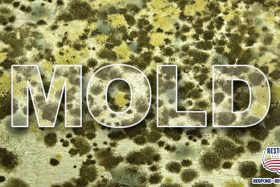 This type of mold tends to live on walls, insulation, paper products, and even any articles of clothing that have been left in a dark, damp, area for extended periods of time. Cladosporium is a different kind of mold. Where other types of mold thrive in warmer locations, Cladosporium thrives in cooler areas. You will find Cladosporium on fabrics like carpets and curtain, as well as wood. Cabinets and floorboards are more vulnerable to the growth of Cladosporium then the other furniture in your home. This mold is easily noticed by it’s black or olive green color. Penicillium usually grows on things that come into contact with water. The candidates for these items that have come in contact with water are many. Carpeting, wall paper, insulation, and mattresses could all be in danger of penicillium growth. Penicillium grows in a bluish-green shade, and often emits a musty, offensive odor. Stachybotrys chartarum, commonly referred to as black mold, got this name due to it’s dark color when growing. Black mold is the most dangerous mold of the lot as it releases toxic compounds into the air which can be factors in severe health issues. This mold, which is the most dangerous of all, can be linked to allergic reactions, breathing problems, asthma attacks, sinus infections, fatigue, and depression. Black mold usually grows in areas that are exposed to moisture like near a leaky pipe, in the air ducts, and any areas that have experienced water damage. Mildew usually grows on flat surfaces, where it might look like some sort of powder. Mildew begins as white or gray, and over time, it will change to shades of yellow, brown, or black. Downy, which is a specific type of mildew, usually begins its growth cycle as a pale yellow, turning brown over time. This type of mildew usually grows on things that come from the earth, like fruits and vegetables. Some common places to find downy mildew is on potatoes and grapes. Based on the surface of which it’s growing, the appearance of downy mold can differ. Always get professional help from a mold inspector before moving in. This might add a little more to the cost of moving, but it’s an investment that’s worth it in the long run. Professionals have procedures and techniques that they use to look for any signs of water damage that could eventually lead to a serious case of mold or mildew. You should not take a DIY route as you could potentially cause more damage to your property as well as serious damage to your health. Restoration USA is a fully certified disaster restoration company located in Pompano Beach. 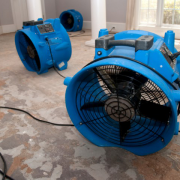 We restore water damage and fire damage, and also perform mold removal and leak detection, in all of Broward county, parts of southern Palm Beach county as well as northern Miami-Dade County. Most of the services we perform can be covered by standard home owners insurance, keeping you worry free, and keeping money in your pockets. Call us toll free, anytime, at (866) 745-6428 to schedule a FREE evaluation of your home.